King Letsie III will officiate the 42nd graduation ceremony of The National University of Lesotho scheduled to take place at the University’s main campus in Roma on October 07th and October 14th. According to the NUL Marketing Officer, Mr. Thapelo Sephiri, the first ceremony, will be dedicated for the Faculties of Agriculture, Social Sciences, Science and Technology, Health Sciences and those studying at the Institute of Extra Mural Studies (IEMS) while the second ceremony will be for the Faculties of Law, Humanities and Education. 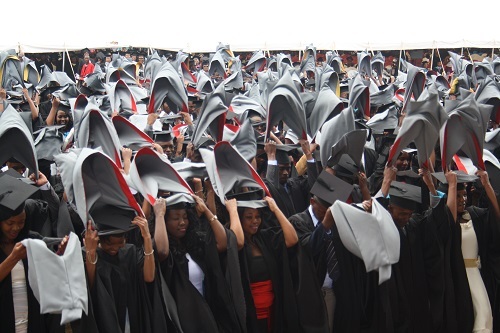 He said since last year, the NUL Senate resolved to split the ceremony into two parts to evade congestion and enable smooth running of the events as well as to ensure that graduands are treated with dignity and respect they deserve on. He pointed out that the 2017 Graduation ceremony will therefore be different due to Local Government elections which will be held on September 30th, 2017, hence the first two weekends of October.